Chinese Calendar 2014 - PDF landscape format in Simplified Chinese (简体). Chinese Calendar 2014 - PDF portrait format in Simplified Chinese (简体). 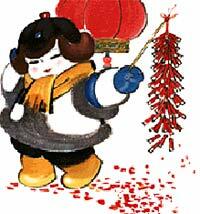 Chinese Calendar 2014 - Printable HTML format in Simplified Chinese (简体). Chinese Calendar 2014 - Text format in Simplified Chinese (简体). Chinese Calendar 2014 - PDF landscape format in Traditional Chinese (繁體). Chinese Calendar 2014 - PDF portrait format in Traditional Chinese (繁體). Chinese Calendar 2014 - Printable HTML format in Traditional Chinese (繁體). Chinese Calendar 2014 - Text format in Traditional Chinese (繁體).